The latest addition to Atelier Herenplaats is Raymond Goossens. During his time at Auras College he was considered shy and withdrawn but was able to show and develop his talent for drawing. From there an internship at Atelier Herenplaats was a very natural career progression, and provided a safe and quiet environment in which he could further explore his passion. Structure is very important for Raymond due to his autistic disorder, and by the the spring of 2016 he was working 5 days a week in the studio. Raymond’s drawings are set in a world of good vs evil. 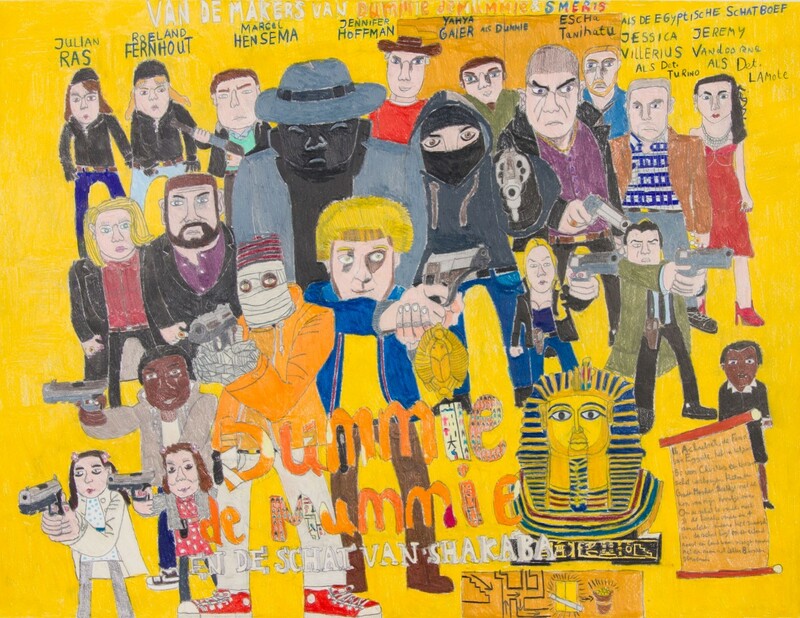 Law enforcement and ‘the baddies’ are central to his work, and can often lead to his drawings resembling the front covers of detective books. It is the world of Cops in Rotterdam and Maastricht, and the crooks lead ‘extremely dangerous lives’, as he explains. 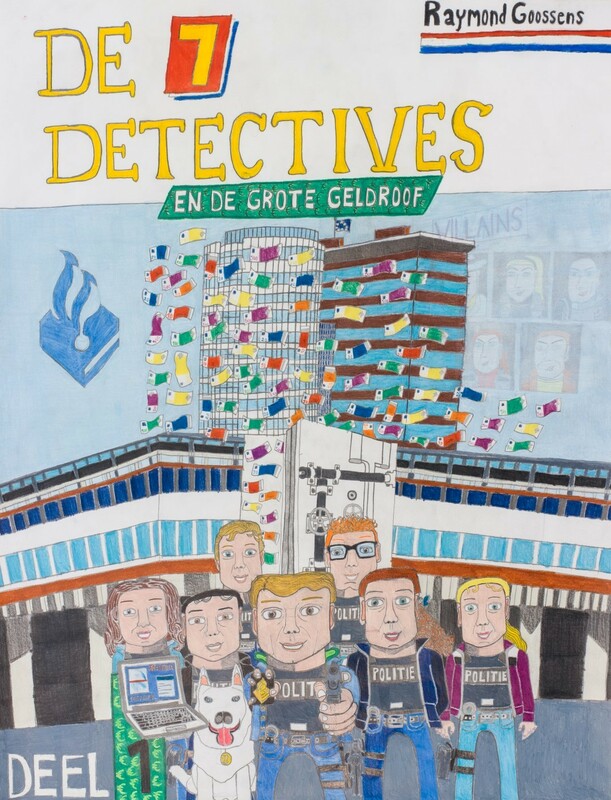 The names he gives the figures in his drawings are in keeping with a detective series theme: Kollossale Boef Krachtpatser, Boris Boef, Beof Vincent ijzer breker Sanches en Boef Spike. 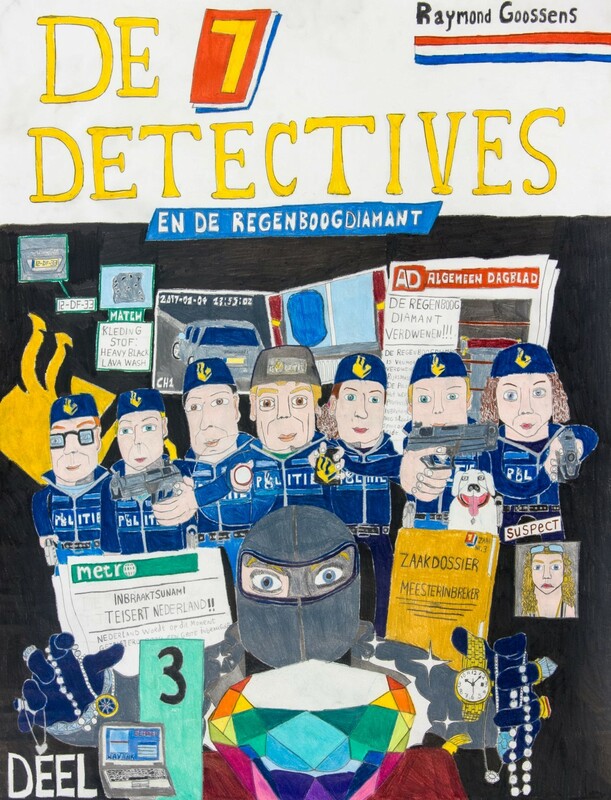 He also uses text fragments in his drawings to list the activities of the detectives; 1. Search the crime scene, 2. Interrogate witnesses, 3. Collect the suspects, 4. Interrogate suspects, 5. Collect evidence and finally 6. Imprison the culprit. 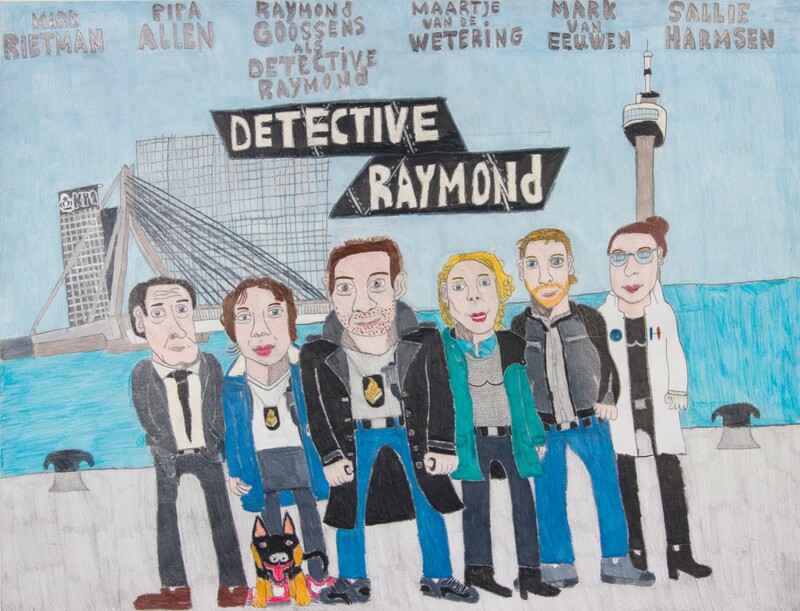 In this drawing detective Raymond is in the centre with five fellow fighters of injustice and his trusty dog-wolf by his side. It is a self portrait, and he is pictured with brown eyes, auburn hair, a wide neck and wearing a tough police jacket complete with chain and police logo. The head detective is always wearing a tie. 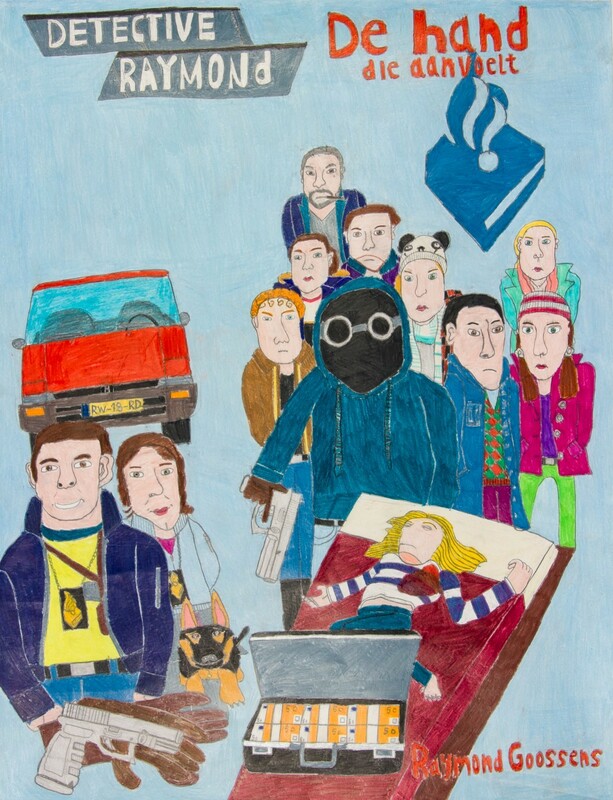 You can easily recognise the nature of the characters in his drawings. The crooks look sullen, their hair wild and their faces obscured by masks while the great heroes of his stories are always smiling and laughing. In this world, Raymond can relax in his fantasy where he is in control and where good prevails over evil.